This feature originally appeared in #NZENTREPRENEUR here. 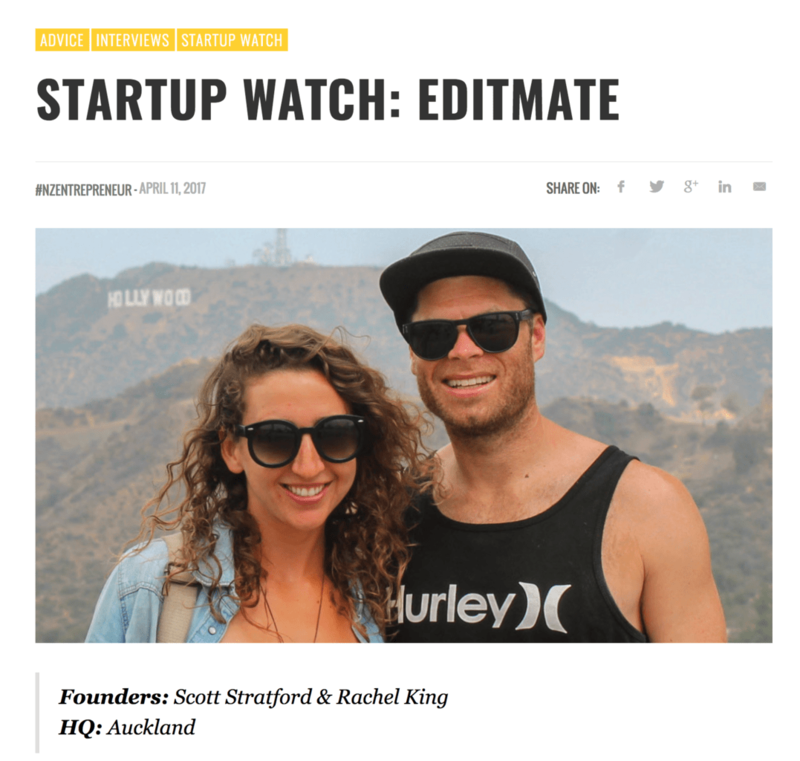 EditMate is a creative tech platform and service. It’s a way for brands to create regular video content (designed for sharing on social media) easily, effectively and affordably. Our user generated video (UGV) app enables brands to crowdsource and upload video straight to our team of expert editors. Our editing service turns raw, user generated footage into polished, shareable social videos. We’re also launching an updated EditMate platform that will combine our asset management and project management systems into one cohesive dashboard for clients, editors and admin. We’re a B2B service and our target is the marketing department for brands, both big and small: marketing managers, social media managers, marketing directors or creative agencies that work with those brands. Anyone who is in charge of creating content and looking for innovative, cost-effective ways of doing it. HOW AND WHEN DID YOU FIRST COME UP WITH THE IDEA FOR YOUR BUSINESS? In late 2016, my co-founder and I saw a gap in the market. Between the two of us, we had worked in online advertising, video production and the agency world. We both noticed more and more of our clients would shoot videos themselves (often on their phones) but then needed it professionally edited. We ended up working on a few projects of that nature just as a side hustle, and then realised its potential for a scalable business. We also began to learn how effective user generated video is as a marketing tool. From there, we came up with the idea for the EditMate app as a way to streamline the process of crowdsourcing UGV. WHAT ARE YOUR THREE BIGGEST UNIQUE SELLING POINTS? 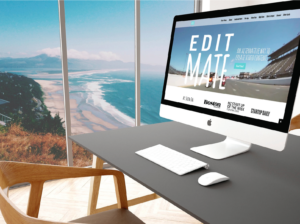 Working with EditMate, a brands community can become their mobile film crew. Sharing user generated video makes creating video content accessible to everyone. It’s an authentic and effective way to market. We’re an end-to-end product. Not only are we building an SaaS (Software as a Service) platform and app that crowdsources, project manages and organises user generated video, but EditMate also works with a team of experienced, professional video editors and animators to turn that raw, user generated video into polished, branded social videos. We can do everything, start to finish. Our team of editors is handpicked – we only work with video editors that our founding team has personally worked with before, so the standard of quality for our final video deliverable is extremely high. WHAT’S BEEN THE BIGGEST CHALLENGE YOU’VE FACED IN BUILDING YOUR BUSINESS SO FAR? In our first year, we bounced around between New Zealand, Australia and the USA, gaining clients in each region. With our small team, our biggest challenge has been gaining fresh customers in new countries while maintaining the customer relationships and sales channels we’ve already worked hard to build. HOW DO YOU MARKET YOUR BUSINESS AND WHAT ADVICE DO YOU HAVE FOR OTHERS AROUND MARKETING? We market EditMate through outreach and inbound content marketing, creating useful and relevant content on our blog. My advice to others around marketing would be to never stop actively learning about your industry. The best way to market your brand is to be an expert in your segment and continuously sharing your knowledge through your website and social channels. For this reason, it’s helpful to truly be personally interested in and fascinated by your industry. WHAT ARE THREE THINGS ABOUT YOUR BUSINESS THAT YOU ARE PROUD OF? We proved our concept in our first year, testing our products and services and tweaking it as we got honest feedback from real, paying clients. We have clients and team members in 3 countries: NZ, Australia and the USA. 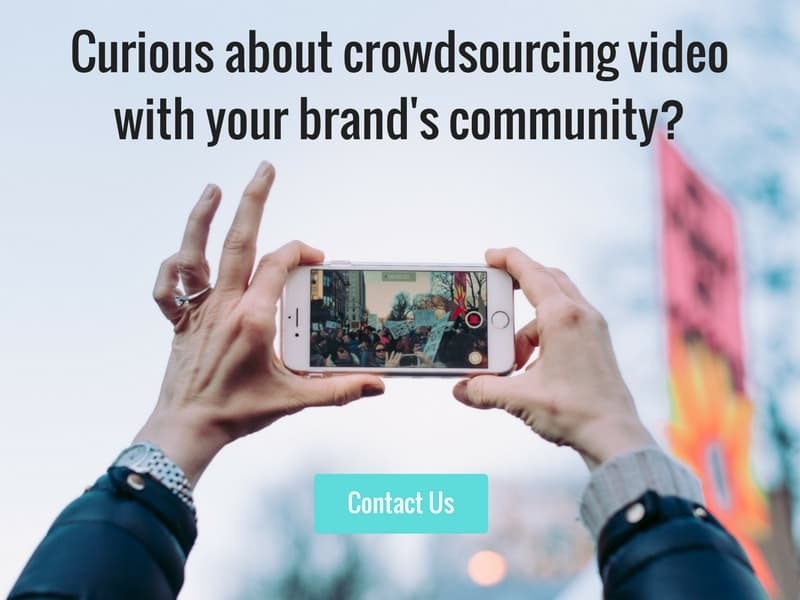 We’ve created our own space: crowdsourcing user generated footage and cutting it into social, branded videos. No one else is doing that, and while challenging, it’s cool to work on something truly unique. 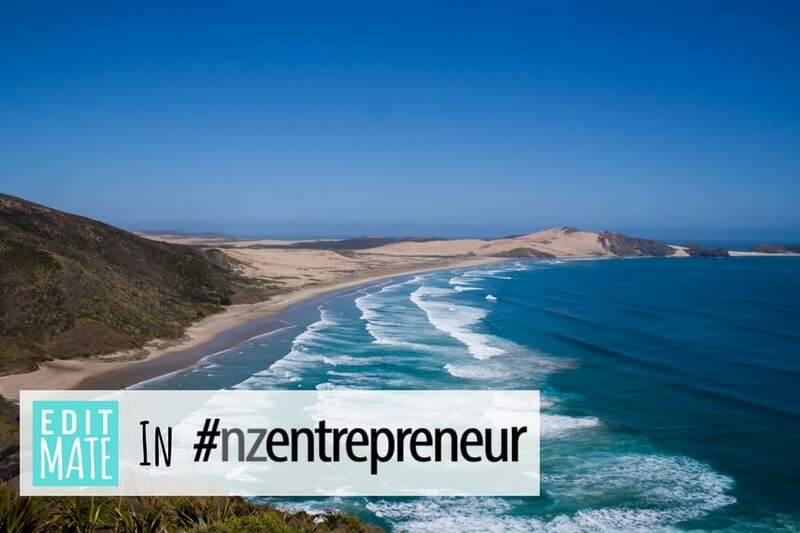 WHAT IS THE BIGGEST ENTREPRENEUR LESSON YOU WOULD LIKE TO SHARE WITH OTHER KIWIS THINKING OF STARTING THEIR OWN BUSINESS? It can be a roller coaster, and despite the perks, it’s definitely not easier than being employed. But whether your business ends up being wildly successful or not, it’s an invaluable learning experience. Everyone on a founding team is forced to learn new skills (design, accounting, SEO) every day, and each person will grow enormously, both in the professional sense and personally.